MICHAEL COLEMAN was born in the townland of Knockgrania, Killavil, Co. Sligo on 31st January, 1891. His father, James Coleman, came from Banada in Co. Roscommon, close to the Sligo border. He married Beatrice (Beesey) Gorman, a local woman from Knockgrania where they established their home. James was a well-respected flute player and made the family home a focal point for the abundant musical talent in the locality. So great was the musical activity around the Coleman home that it was often referred to as Jamesy Coleman’s Music Hall. 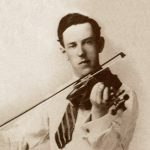 Killavil was an area famed for its fiddle tradition, highly developed even in Coleman’s early youth. 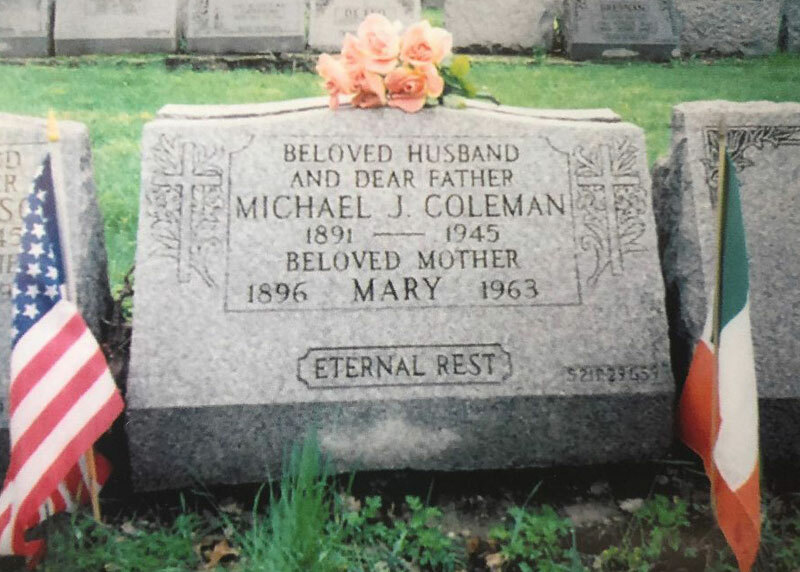 Michael, the youngest of seven in the Coleman family, developed a keen interest as a boy in both step dancing and fiddle playing which was performed almost exclusively at the numerous country house dances in the locality. Surrounded by fiddle players of great skill, musicians who influenced him include Philip O’Beirne, PJ McDermott and later John O’Dowd. His older brother Jim, was also a source of influence, for although he was never recorded, he was regarded locally as a master fiddler. Keen to absorb all the musical variation and style in the area, Michael attended as many house dances as possible and had particular interest in the music of the uileann pipes. One of the pipers he came in contact with was travelling piper Johnny Gorman, from Derrylahan in Co. Roscommon. Coleman incorporated some of Gorman’s piping techniques into his fiddle playing. Michael left school in 1908 at the age of 17 years and continued to pursue his love of music. He competed at the Sligo Feis Ceoil in 1909 and again in 1910, and was placed joint third on both occasions. This placing however, is more a reflection on the lack of understanding on the part of the judges, rather than on Michael’s musical ability. In 1914 Michael went to Manchester where his older brother, Pat, had settled, but returned home after several months. Then, in October 1914, when he was 23 years of age, he set sail for America with his friend John Hunt, where he was to spend the rest of his life. After arriving in New York he began work as a performer with Keith Theatres, a travelling vaudeville with venues in many of the major U.S. cities. After a few years he settled in New York, and in 1917, he married Marie Fanning from Co. Monaghan. 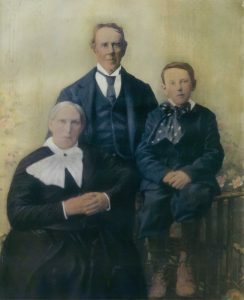 They had one child Mary who later became Mrs. Hannon. In 1921 he began his recording career, first with the Shannon label and later for the Vocalion label. During the 1920’s and 1930’s Michael made approx. 80 commercial recordings (c. 40 two sided discs) with major recording companies, the last being in 1936. In 1991 the collection ‘Michael Coleman 1891 – 1945’ was published. This collection, although it does not include Coleman’s entire body of recordings, restored and produced by Harry Bradshaw, gave a new lease of life to Coleman’s music and was accompanied by a comprehensive biography of his life. This collection is currently unavailable. 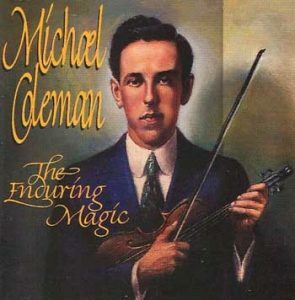 In 2004 the Coleman Heritage Centre in Gurteen Co. Sligo released Michael Coleman the Enduring Magic . This CD features 20 tracks by Michael Coleman including recordings not available on other publications. It is available on line in our online shop. The Enduring Magic is the only widely available work by the legend that is Michael Coleman. Coleman’s records were to have a major impact on musicians back in Ireland, and were to exercise an influence on traditional music which was to long outlast his own lifetime. He was certainly the most influential traditional musician of the twentieth century, his legacy extending far beyond his native south Sligo and indeed the country as a whole. Although he has had many imitators, Coleman’s combination of superb technical ability and deeply expressive playing has had few, if any equals. On the 4th January 1945 Michael died in Knickerbocker Hospital, Manhattan aged 54 years. He was buried in St. Raymond’s Cemetery, The Bronx, New York. The Centre is open all year round Monday to Saturday from 10am to 5:30pm.